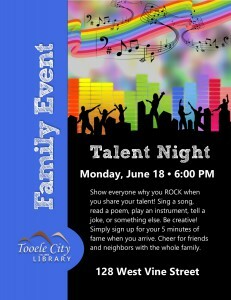 Show everyone why you ROCK when you share your talent with the community! Sing a song, play an instrument, read a poem, tell a joke, etc. Simply sign up for your 5 minutes of fame when you arrive. Cheer for your friends and neighbors at this evening of culture for the whole family.